Wang Fujui & Lu Yi. I’m told by musicians working in Taiwan’s capital, Taipei, that the experimental music scene there is small enough that you could know pretty much everyone involved in just a few days. Lucia H Chung, curator of Music Hackspace’s Taiwanese residency, told me that she didn’t even know there was an experimental scene until she left the city, so covert are its operations. Yet the artists that have come from the city present a diverse range of burgeoning styles. From the chaotic city-scape grooves of Meuko! Meuko! to the sonic spiritualism of Sheryl Cheung, Taiwan today is a microcosm of innovation. To conclude our focus on Taiwanese experimental music this summer, we’ve listed 5 of our favourite experimental artists from the country that are working today. Relatively new to the scene, Meuko! Meuko! has gained a considerable following through her monthly radio show on NTS, giving an hour of “warped, percussive and pulsating selections” from the producer. Meuko! Meuko!’s productions are markedly metropolitan, drawing from Taipei’s bustling streets to reproduce the claustrophobia of city-living. Listen below, for example, to ‘The Temple’, the lead single from her Ghost Island EP released earlier this year on Danse Noire. Over what sounds like homemade field recordings of the city streets, Meuko! Meuko! chants sinister words to bring the darkness of the urban sprawl into light. Wang Fujui is something of a constellation point for Taiwanese experimental music. You cannot study the history of the genre without seeing his name pop up somewhere, such is his influence. This is in part down to his founding of NOISE in 1993, Taiwan’s first independent record label and zine to focus specifically on experimental sound. Since 1993, NOISE has become an indispensable entry-point for anyone wanting to learn more about the scene. Moreover, Wang is currently an assistant professor of the Taipei National University of the Arts, Department of New Media Arts, TNUA, so many new artists from Taiwan will have learnt sound techniques and theory through Wang’s public courses. 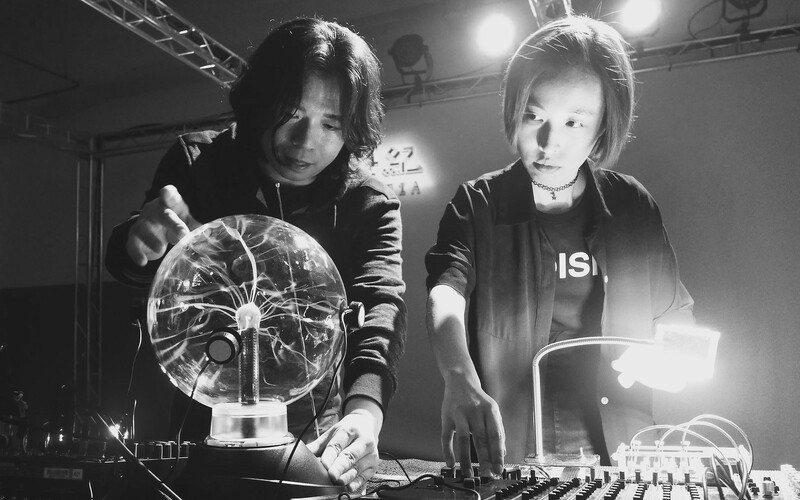 In 2011, Wang founded Soundwatch Studio with Lu Yi (or ‘lucky’), a space in which Taiwanese and international artists collaborate through workshops, with a focus on DIY electronics and the visual component of sound. The pair have toured together and performed at events and festivals including an exhibition at Birckbeck entitled Shoot the Pianist - The Noise Scene in Taipei 1990-95. Although harsh in tone, Sheryl Cheng’s noise arguably takes a softer approach than many of her contemporaries. Her music focuses on the concept of life itself: the force of nature driving our innate persistence to live. In particular, Cheung is interested in our conception of the natural world in a world that seems increasingly post-natural. Her sources of inspiration are less sonic than they are cosmic: drawing on Taoist ideas of sound and energy, breathing and consciousness. Last year, Cheung produced to two projects: Moon Tides and Future Tao. Moon Tides explores the communion between human and plant life: to what extent do we share commonality in our experiences of pain, sexuality and growth? Future Tao is a reimagined soundscape for martial arts in the present day: how should we interpret ancient scriptures and apply them to our modern lives? Head of the Happened events and radio series, as well as curator of the current Music Hackspace residency showcasing Taiwanese artists, Lucia H Chung (aka en creux) has been a driving force for platforming Taiwanese experimental music in London. But her solo work is arguably less well known, although no less impressive. I first became aware of her work through SM-LL, her co-managed label and a favourite spot of mine for hearing new neo-minimalist oddities. Her solo work takes the bread and butter of electronic music (the sound-wave, the process of repetition, the hardware) and brackets out the original context. Listen below to her contribution to the SM-LL Default series, a searing example of minimalism’s potential for unsettling simplicity. Her Reloc project, with Martin J Thompson, is also well worth a listen. One of the central metaphors for noise music is that of freedom. Noise musicians often talk about wanting to break down barriers of sound and society through the power of free-improvisation. Indeed, early Japanoise artists like Merzbow even sought to free noise music from the shackles of guitar-based feedback. By introducing electronics to noise, musicians were freeing themselves of historical cliches and genre pigeon-holing. The question of freedom is of particular importance to a country like Taiwan. It’s no coincidence that Fujui Wang’s NOISE label started around the time that a popular movement for Taiwanese independence re-emerged. For many musicians in Taiwan in the 90s, noise was more than merely a musical device, it was an expression of autonomy. One of the best of the noise-y Taiwanese artists, LTY (aka Lai Tsung-Yun) weaves together field recordings into a bustling frenzy of harsh tones. Tsung-Yun is also the curator of Taiwan’s Lacking Sound Festival, one of the most prestigious events for experimental sound artists in Taiwan. Listen to ‘METHOD 4-4’ below, a deafening reminder of noise music’s emancipatory force. Catch Wang Fujui, Lu Yi, Meuko!Meuko!, Tzu Ni and LTY this weekend at Somerset House as the final show in the Music Hackspace residency. Details can be found here.